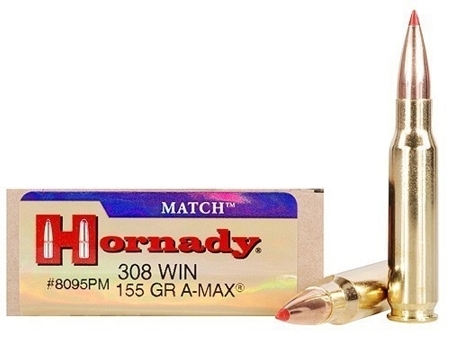 Hornady match rifle ammunition is loaded with the most accurate, consistent match bullets in the world: our sophisticated boat-tail hollow point match bullets and our technologically advanced A-MAX Match bullets. Cases are hand selected based on strict criteria: wall thickness uniformity, internal capacity, case weight and consistent wall concentricity. We get proper bullet seating, consistent charges and pressures, optimal velocity and repeatable accuracy. These jackets represent a technological advancement in design, tooling and manufacturing. 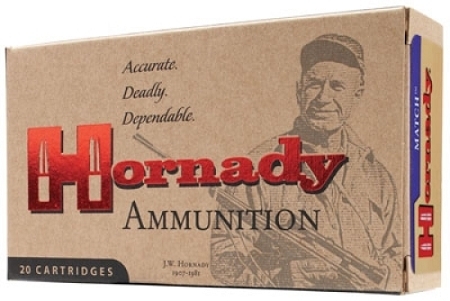 Developed by Hornady technicians, AMP Bullet Jackets feature near-zero wall thickness variation, resulting in unprecedented concentricity and uniformity throughout the jacket. Like the powder, the primers we select are the highest quality available, perfectly matched to the load.